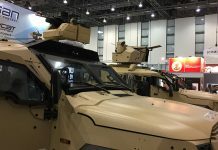 Positioned to be the largest defense expo in Israel, the 6th edition of ISDEF defence and security exhibition has become a summit of business and defence. Taking place in Tel Aviv exhibition center in June 4-6, 2013 the event is expected to host 250 exhibiting companies and 15,000 visitors from 60 countries. 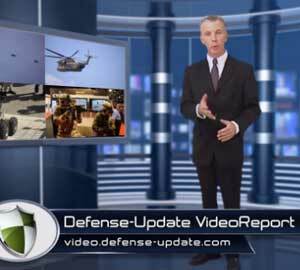 As a media sponsor, Defense Update will publish a daily coverage of the show highlights and featured products and companies. If you exhibit at ISDEF and would like to add your company or product please contact us. 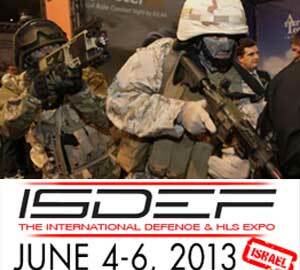 Israel is a high potential target market for defense and security and ISDEF has positioned itself as a leading international defence, highlighting the country’s security technologies to foreign visitors and introducing international solutions to the lucrative Israeli market. Despite global budgetary restraints and economic uncertainty, the need for defence and security is constant. This has led to an increase in the number of cooperation agreements and joint ventures between local and foreign defence and security companies. Israel is one of the leading countries to use this joint venture commercial logic, which has become a vital condition to guarantee continued defence industry profitability. This has lead to the creation of established ties of joint production and R&D with companies from many countries. Civil Security: Financial and municipal leaders will share their ideas and policies for disaster events, discussing economic recovery and emergency response, resilience and continuity of services. This conference is held by the head of Israel’s Civilian Security. Negotiation in the war Against Terror: This conference aimed at SWAT negotiating teams, will analyse the changes in strategies, the logic of action and tactics implemented by modern terror and discuss the changes required in negotiation tactics. I-HLS Big Data Fusion (BDF): This conference will focusing on Israel’s approach to BDF in the defence & HLS arena. Israel’s International CBRNe and C-IED: The conference focus on the Israeli approach to CBRNe and C-IED defense, discussed by CBRN First Responders from Israel and the USA, IDF CBRN Special Forces, Israeli and US Government Officials, US Army, UN and more. I-HLS Video Data Analytics: Focusing on the Israeli approach to video and visual information in the HLS market. THis year ISDEF is also introducing the ‘New Innovations Pavilion’, a new themes highlighting the roles of small and medium companies (SME), enterprises which play a pivotal role in the economic development of all countries worldwide, are an indispensable part of the industrial supply chain. It is a preference of OEMs and Prime Contractors to work with SME’s because of their innovative capabilities, flexibility, and lower costs. “Our purpose at ISDEF is to highlight cooperation and innovative technology that has been implemented in defence and security projects” said Neil Margolius International Relations executive at ISDEF. One of the attractions at ISDEF will be the live demonstration area, both indoor and outdoor. 74 Sqm of space has been reserved and designed to replicate different combat zones, incorporating a variety of terrain and objects including desert, vegetation, evacuated building, car, gate, etc.